We're calling it "The World of Birding in One Place!" It's the American BirdingExpo and once again Columbus, Ohio, will be buzzing with birders and birding businesses for three busy fall days, September 16 to 18, 2016. Last year more than 2,500 people and 85 exhibitors, hailing from 35 U.S. states and 31 countries joined us for the first-ever Expo at the Grange Insurance AudubonCenter and Scioto Audubon Metro Park. It was monumental fun, and now we're gearing up to do it all again! Here's this year's limited-edition Expo poster! Designed and hand printed by Bobby Rosenstock/Just A Jar. 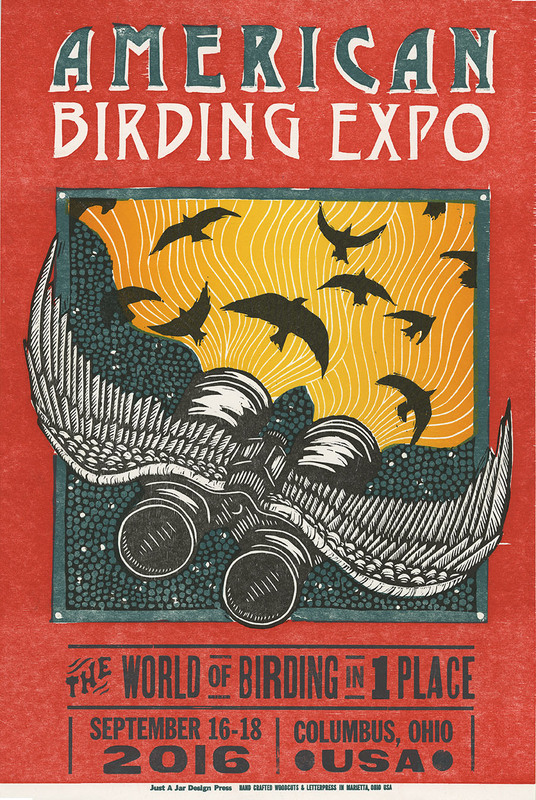 In year two of the Expo, there will be more than 100 exhibitors from all over the world selling and promoting everything a birder could want: birding tours, optics, cameras, gear, clothing, bird feeders and houses, artwork, gift items, books, plus destinations, festivals, birding and conservation organizations, and more. 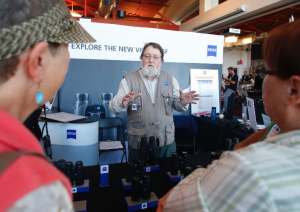 Stephen Ingraham from Carl Zeiss Sports Optics converses with two Expo attendees. 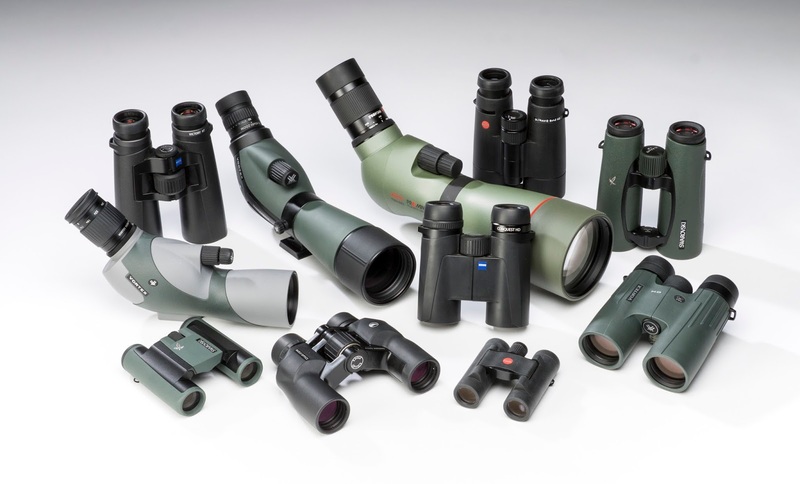 There will be a full array of optics available at the Expo. How is the Expo Different from a Regular Birding Festival? As the Expo name suggests, this is an exposition of birding products, destinations, and services. While many of the continent's best birding festivals have a vendor area as a part of the festival, the Expo is nothing BUT a vendor area, with exhibitors on full display mode for most of three days. It's like a grouse or prairie chicken lek where the exhibitors are the displaying male prairie chickens and the consumers are the gathered females, just waiting to be impressed. Of course, there are a few similarities between a birding festival and the Expo. We will offer informal morning bird walks before the Expo opens each morning, and many of our exhibitors will be giving short presentations during the Expo. However the central purpose of this event is to connect the worldwide birding marketplace to North American bird watchers. So that's just what we'll do from noon to 6 p.m. on Friday, from 9 a.m. to 5 p.m. on Saturday, and from 11 a.m. to 4 p.m. on Sunday. By the way, the Expo is hosted by Bird Watcher's Digest and co-hosted by our friends from the American Birding Association, Grange Insurance Audubon Center, and Franklin Country MetroParks. Not only is this a nature lover's very best chance to sample everything the birding marketplace has to offer, it's also a chance to contribute to bird conservation and nature education through the Expo Conservation Fund. We're once again supporting three vitally important causes: one local, one national, and one international with the funds we raise during the Expo. Local Cause: The Young Urban Naturalists Program at Grange Insurance Audubon Center—sharing the wonders of nature with young people from Columbus City Schools. 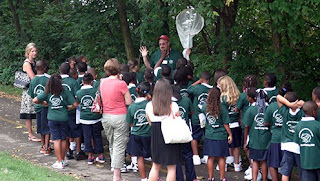 Partner: Grange Insurance Audubon Center. 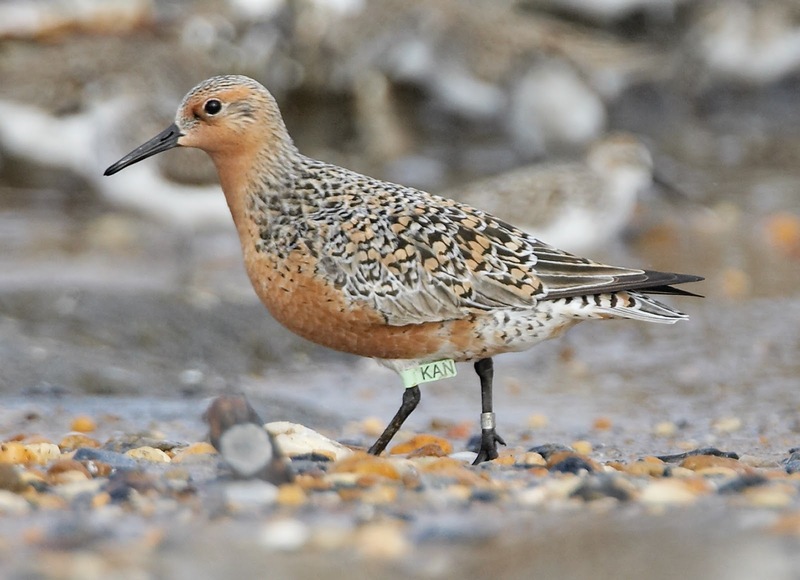 National Cause: Red Knot Rescue and Conservation—funding field study and habitat acquisition efforts along the Delaware Bayshore. The rufa race of the red knot is critically endangered. International Cause: Save the Hooded Grebe of Argentina—funding the urgent and vital efforts of BirdLife International and Aves Argentinas to rescue this species from the brink of extinction. Partner: BirdLife International. The American Birding Expo is proud to be a BirdLife Species Champion for the Hooded Grebe. 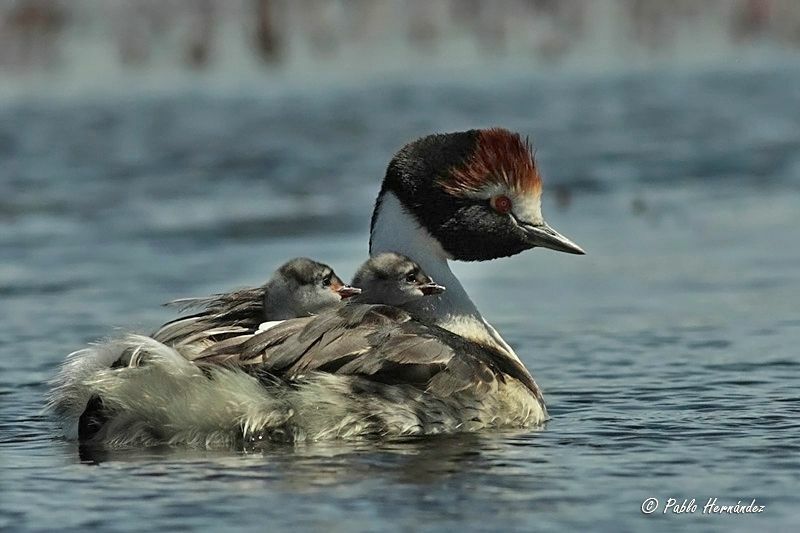 Adult hooded grebe with chicks on its back. How Will the Expo Raise the Money? to the Expo Conservation Raffle with prizes that include discounted overseas trips, more than a dozen binoculars and scopes, giant gift baskets for birders, original art, and a mind-boggling array of other items. All of this stuff is really great, but the Expo means so much more to me than just numbers and products. It's like a family reunion with all of my favorite people from all over the world. I've been so fortunate to get to travel the globe, seeing the birds and meeting the birders of some pretty far-off and fantastic places. So it's wonderful beyond description to be the host of an event that gathers the birding tribe from far and near to meet and connect with one another, and to come together to do some good for birds and the future of birding. Here's a video we recently completed that gives more insight into the Expo. So, what do you say? Want to experience The World of Birding in One Place? 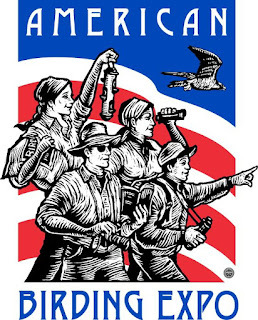 There's only one spot in this hemisphere where you can do that: The American Birding Expo in Columbus, Ohio, September 16–18, 2016. If you're planning to come to the Expo, consider registering in advance because it has some advantages. Pre-registrants get a subscription to the Expo e-newsletter plus notifications about specials, invitations to exclusive Expo events, and expedited entry when they arrive. There's no cost to preregister. I'll see you out there with the birders!